The Issue of Abortion in America is an interactive multi-media CD-ROM created by the award winning Carnegie Mellon team that brought us A Right to Die? : The Dax Cowart Case. 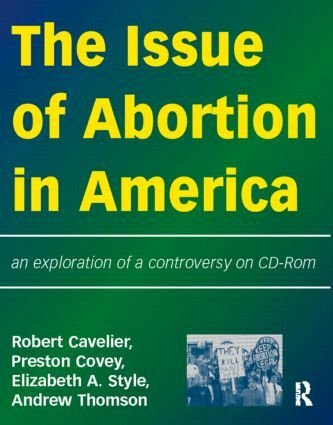 In this ground breaking CD-ROM, The Issue of Abortion in America gives users an opportunity to see and hear women and couples speak of the emotional struggles and moral dilemmas they face in their consideration of continuing or terminating a pregnancy. It also places the issue of abortion in the larger social context of medical, legal, philosophical, and religious considerations. * Introduction: offers an introduction to the project as well as an overview of the program. *Case Histories: a set of interactive multimedia modules present situations in which women and couples describe their decisions to continue or terminate a pregnancy.